Trans-Mississippi Musings features short articles about important events leading up to, occuring during, and following the American Civil War. 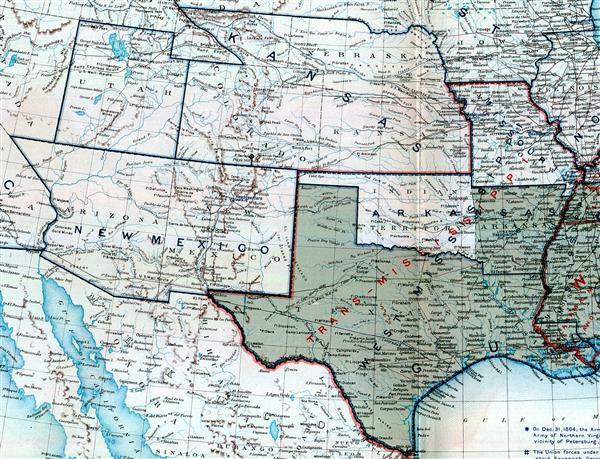 During the American Civil War, the Trans-Mississippi referred to the geographic area west of the Mississippi River. The Confederacy actually had a military department named Trans-Mississippi that included the states of Missouri, Texas, Arkansas, and part of Louisiana, and the Indian Territory (present day Oklahoma).